My family hasn't avoided the colds that are going around now. 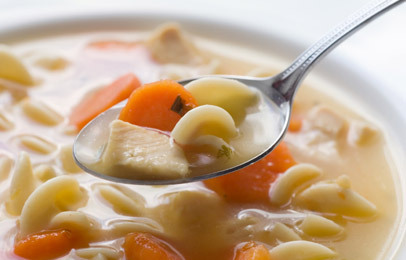 My way of fighting back is making chicken noodle soup. It's not too hard, it's satisfying, and it tastes great. The recipe belongs to Peninsula School and gets used at our annual Craft Fair. It's benefited from years of refinement. I add more salt. I don't do peas. I've tried with rice but it got starchy and weird, stick with egg noodles.